[57% OFF] 2019 Floral Spaghetti Strap Bikini In RED WINE | ZAFUL ..
fits perfect , nice color !!! It is a greatly versatile swimsuit because the slender shoulder straps are removable that you can wear it as a sassy bandeau bikini. 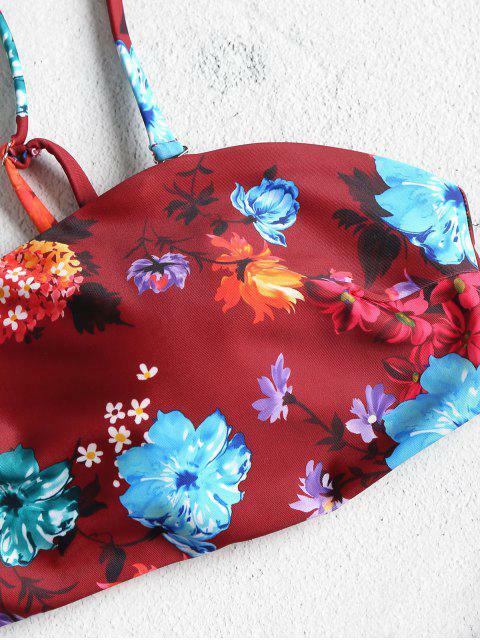 Taking on such a stunning bikini with colorful floral throughout, you will love the sweet look no matter where you are. And the matching briefs are carefully cut with high-leg design to elongate the figure for a slimming look.